SILENT AUCTION IS OPEN FOR BIDDING! We're WILD about LPS and want you to join us for a fun evening celebrating all things good in our schools! Explore and discover hidden treasures at our auction tables. Hunt for your dinner and drink at our delectable provision stations. Enjoy a spirited program and dessert in the ballroom. Satisfy your wanderlust! The 2019 Spirit Celebration offers attendees the opportunity to take a walk on the wild side at the CU South Denver - Wildlife Experience. This year's fundraiser will inspire you to discover and explore all that the LPS Foundation does to support LPS students and staff. Why should you attend? Because it's a fun way to support our wonderful neighborhood schools, see friends and meet new ones, hobnob with district and community folks, learn about the LPS Foundation's impact on student learning and much, much more! Did we mention it's going to be super fun? 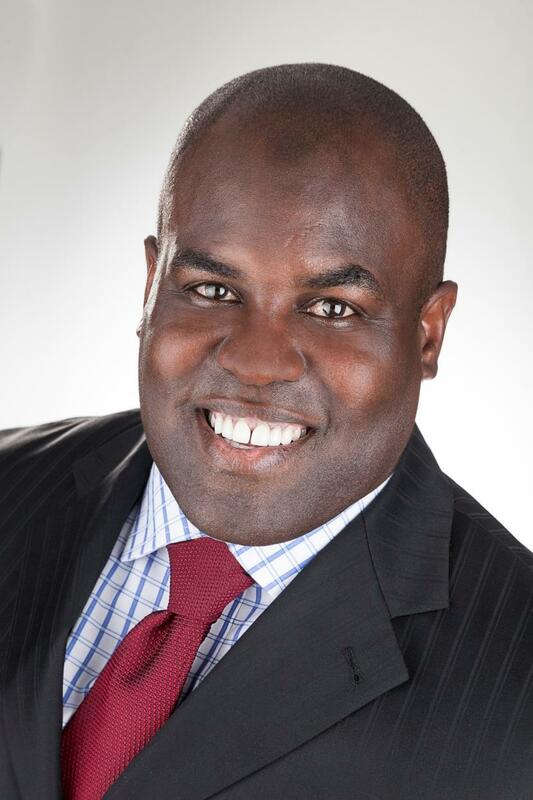 Former Denver Bronco Reggie Rivers is a talented, quick-witted and experienced auctioneer. He has been doing benefit auctions for the past 20 years and has helped Colorado non-profits raise millions of dollars. Reggie is a popular media personality, a well-respected philanthropist and someone who is well connected in the Denver nonprofit scene. When he comes to the podium, he’s not a stranger asking your guests to contribute, he’s a friend asking other friends to support your worthy cause. Reggie is a very effective and entertaining auctioneer. The paddle raiser at the Spirit Celebration will focus on raising funds for mental health supports and programs for LPS students, families, and staff. The Legacy Fund for Mental Health was established in 2015 and has garnered over $350,000 for programs that have aided our community in working through adversity and becoming more resilient. We are so pleased and honored to partner with Citywide Banks whose philanthropic focus is to end the negative stigma of mental health and provide mental health wellness throughout the community. They have partnered with us as the Legacy Fund for Mental Health sponsor. We are also pleased and honored to partner with Littleton Adventist Hosptial. They have generously offered matching funds toward our efforts to raise needed dollars for mental health supports in our schools. For every $2 raised for the Legacy Fund for Mental Health, they will match with $1 up to $50,000. Our goal is to raise $100,000 so we can turn it into $150,000 with the help of the hospital and YOU! If you cannot be present at the event but would like to help us reach our goal, please click on this link to make a donation. Bronco fan? If so, we’ve got your ultimate game-day experience! No need to fuss with traffic, parking, crowds or even the weather. Don your favorite Bronco jersey (#38 of course!) and join former Denver Bronco running back, Reggie Rivers, in his exclusive ‘Club 38 Man Cave’ located within his private home. Enjoy comfy lounge chairs, tons of food and drink, prizes, games, swag and more! Reggie will host you and three friends and who knows… maybe he’ll invite some friends too! Date to be mutually agreed upon for 2019 season. Dates TBD when Bronco schedule is released. The Perfect Summer Weekend Escape - 4 Women. 3 Days. Unlimited Fun! Four (4) fun-loving GalPals will be hosted in a one-of-a-kind private home in Grand Lake the weekend of June 28th to 30th. Gourmet meals and specialty cocktails, all personally served, are included from Friday evening through Sunday brunch. Friday evening attend opening night of the hit Broadway musical “Sweeney Todd” at the critically acclaimed Rocky Mountain Repertory Theater, followed by an exclusive opening night party with the cast. Saturday and Sunday, hike from the house to neighboring Arapaho National Forest, Rocky Mountain National Park, or to the headwaters of the Colorado River. Kayak, bar hop, or shop in picturesque Grand Lake. Or just hang out and relax in the hot tub, wine cellar, or in a favorite reading chair. Ladies, if you love live musical theater, the great outdoors, great food, and sharing great times with great friends, don’t let this one go to someone else! Valid June 28 - 30, 2019. You know the saying… Big enough to serve you, small enough to know you. Well, the LPS Board of Education and superintendent want to serve you while getting to know you! They will welcome you to Bow Mar Lake, cruise you around on a pontoon boat, serve you refreshing cocktails and tasty hors d'oeuvres, prepare a delicious lakeside dinner for you and engage you in meaningful and dynamic conversation. Music too! This unique experience is for eight (8) adults. Date to be mutually agreed upon and is valid June - September 2019. How often do you get to sit and chat with a Rose Bowl Champion and an NFL icon? Well, here’s your chance! Denver Bronco Ring of Fame inductee, Randy Gradishar, invites you and three friends to join him for dinner and drinks at the Denver Chophouse & Brewery where he will share stories of the infamous Orange Crush defense and his days as an Ohio State Buckeye among other engaging topics. A champion on and off the field and an all-American class act, you will enjoy this intimate and authentic evening with a fellow LPS parent. Date to be mutually agreed upon and is valid through 2019. Feel the rush of the water and the wind through your hair as your group of up to eight enjoys a 3-hour cruise at Cherry Creek Reservoir on a J/24 sailboat. Choose from a weeknight sunset cruise or a weekend afternoon adventure exploring the reservoir with one of our expert captains. Bring a picnic and some drinks to complete your experience while feeling the freedom and peace of wind as the boat accelerates through the water. Package includes $250 food and beverage gift card. Subject to availability and valid through September 30, 2019. DONATED BY: Community Sailing of Colorado, a nonprofit instructional sailing organization that offers youth sailing camps, adult classes, group events, parties, rentals and more! This private, in-your-own-home wine tasting is completely customizable. Work directly with Littleton City Council member Kyle Schlachter to guide you and up to 7 guests on a journey through wine. New to wine, explore the differences between Merlot and Syrah. Want to explore a country, say Spain, or a specific region, maybe Bordeaux? Dive into one grape variety... Cabernet, but from different regions from around the world. Kyle is a Certified Specialist of Wine and has worked with the Colorado Wine Board for the past ten years, has been published in Wine Spectator, Decanter, and Sommelier Journal and was named one of the Top 40 Tastemakers Under 40 in the wine, beer and spirits industries by Wine Enthusiast Magazine. Kyle will work with you to curate a unique wine experience to highlight the wonderful world of wine. Valid through December 31, 2019. Soaring over the Rockies… The Ultimate Date Night! Experience the sunset from a bird's eye view as you soar through the sky with your sweetie. Take off from Centennial Airport for a private tour from the air of the Front Range, Boulder, and the Denver Skyline with a professional pilot from Aspen Flying Club. Get insights about flying and see our beautiful state from the vantage point of a small private plane. After soaring the sunset, spend a romantic dinner for two at Del Frisco’s Double Eagle Steakhouse then spend the night at the beautiful and chic Magnolia Hotel in downtown Denver. Book the babysitter! This package is the perfect Mother’s Day, Father’s Day, birthday or anniversary gift. Jump on it or you’ll be sorry you missed it! Valid through December 31, 2019. You and your fan club (9 closest friends) will enjoy a behind the scenes tour of Littleton’s only distillery. You will learn how spirits are made, enjoy tasting whiskey, vodka, and rum straight from the barrel and have a behind the scenes tour of the distillery. It’s suggested you schedule your tour on a distillation day. After the tour kick back in their cozy taproom for a carefully crafted cocktail of your choice. Auction winner also receives one bottle of their fine spirits. Includes a $100 gift card to use for food at The Lounge Mobile Eats (food truck on property) or to buy more drinks!